It will be the second time when Mahendra Singh Dhoni and Suresh Raina will face each other in the Vivo IPL 2016. More than the individuals, it will be more about Rising Pune Supergiants taking on the Gujarat Lions at this crucial juncture in the league. Supreme Court's order of IPL not happening in the drought-hit Maharashtra means that this match will be the last in the state. The fact that it will be Supergiants' last engagement in their official home ground of Pune makes this contest of paramount importance for them. The front-page news in the home team's domain would be the unexpected and unfortunate end of Faf du Plessis' IPL 9 journey. His broken finger has ruled him of the sport for six weeks. du Plessis is the second Supergiants' player after Kevin Pietersen to be ruled out of the tournament due to an injury, which will further incapacitate things for the management. A replacement must and will be called but not before tomorrow's match. So, Dhoni will have to perform with the limited resources at the moment. They only have Peter Handscomb as an overseas batsman on the bench. Whether he will replace du Plessis at the top of the order will be interesting to see. Dhoni can turn back to Albie Morkel as the fourth overseas player but it will increment the medium-pace all-rounder's list to three. Such an attack might suit the wicket in Perth, but surely not in Pune. The bowling attack looks strengthened with Ashok Dinda's inclusion. To bolster it, Scott Boland can be given an IPL debut. In such a scenario, one out of Baba Aparajith or Ankush Bains can be included to partner Ajinkya Rahane at the top. Whatever might that be, Dhoni is due to make a crucial change before the toss tomorrow. MS Dhoni will have to make important changes tomorrow. 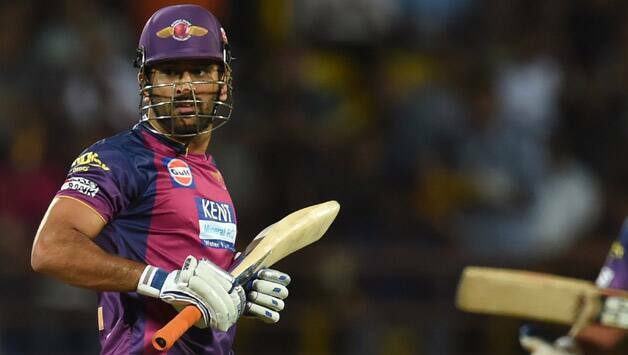 With an attenuated batting line-up, Mahendra Singh Dhoni will also have to come good with the bat. He showed glimpses of his power hitting versus Kolkata Knight Riders. An extended replication of that innings will do wonders for the team. Promoting himself up the order will not be a bad option either. Gujarat Lions is the perfect example of a new (genius) kid in the class, who defeats everyone in almost every field in the class. With five wins in six matches, Suresh Raina's side is on the top of the points table (they might slip to number two if KKR beat MI today). They have reaped success mainly due to runs from their batsmen at the top. Aaron Finch started the progression with three consecutive Man of the Match awards (half centuries). In his absence, Dwayne Smith has scored 85 runs in two matches at a gargantuan strike rate of 166.66. Brendon McCullum is not far behind in terms of strike rate. 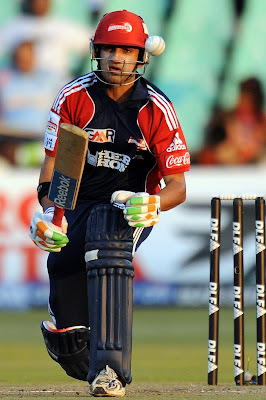 His 175 runs in six matches have come at a rate of 153.50 runs per 100 balls. The numbers themselves depict the way Lions' batsmen take on the opposition from the word go. Suresh Raina and Dinesh Karthik have come good at important times for the team. But the lower middle order is where they have faced a bit of issue. Ravindra Jadeja is often promoted at No. 5 but is yet to deliver with the bat. The Lions are also not using the No. 6 position judiciously. Ishan Kishan is a talented batsman but not someone who bats in the death overs or plays the big shots with ease. Raina can play one out of Eklavya Dwivedi or Paras Dogra in place of Kishan. Parveen Kumar bowled with guile in the death overs yesterday. Praveen Kumar and Dhawal Kulkarni shared figures of 8-0-32-3 among them yesterday. For a captain to have two in-form swing bowlers is always a luxury. Ravindra Jadeja and Praveen Tambe were victims of Morris' onslaught but that can happen to any bowler. In James Faulkner and Dwayne Bravo, they have two of the best containing bowlers around the world right now. But the team would again be counting upon Parveen Kumar, for the way he delivered his yorkers to perfection in the death overs yesterday. Both the teams earlier faced each other in Rajkot where the home team emerged as winners. Will Rising Pune Supergiants return the favor in their backyard will be gripping to see!